A thick layer of frost blankets thelandscape, creating a gauzy haze over the tans and pale greens of the EthiopianHighlands. Amidst the frozen stillness, a rust-colored lump dusted in rimestirs. A black nose appears from beneath a thick tail, and two ears twitch atopan elegantly long head. At last, the wolf rises, arches its back in a longstretch, and shakes. Nearby, several other pack members rise as well, touchingnoses in greeting. Pups, just weeks old, emerge from a shallow den and beginplaying, scrambling over rocks, tugging at each other’s tails. As the skybrightens, the adults trot off to patrol the edge of the group’s territory andbegin the day’s hunt. While the small size of their preynecessitates a solo hunting strategy, Ethiopian wolves have retained many oftheir ancestors’ behaviors, including their complex social structures; theylive in tight-knit family groups, each made up of a dominant breeding pair andsubordinates that help to raise the young and defend territories. Within thesegroups, there is a clear hierarchy reinforced by regular, ritualized greetings. 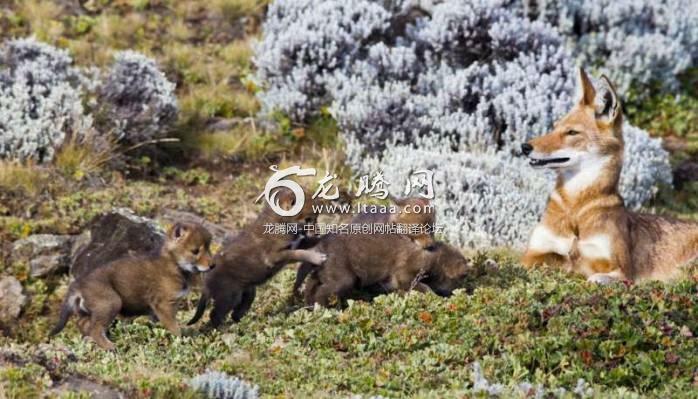 Highly adapted though they are, Ethiopianwolves are struggling to survive. There are currently only about 500 left inthe world, distributed among six isolated populations, all on the highlands,and that number has fluctuated dramatically in recent years. The Bale Mountainsin the southeast is home to the largest of the six populations, with around 250individuals living in multiple family packs. This is where researchers at thenon-profit Ethiopian Wolf Conservation Program (EWCP) have focused most oftheir efforts to learn about the wolves and the threats they face, and to tryto protect the species from extinction. 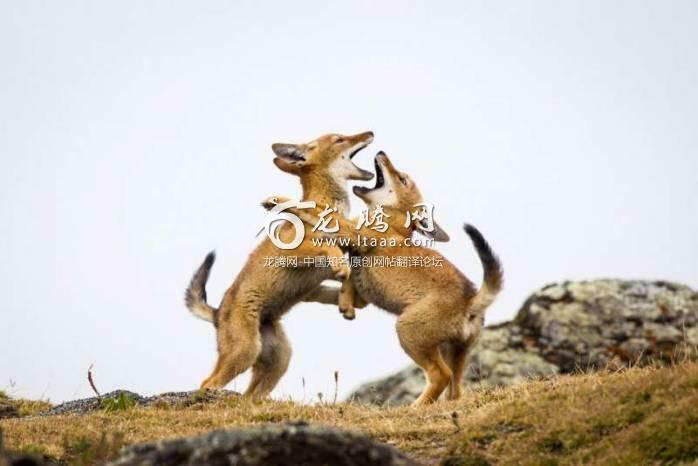 While Ethiopian wolves have persisted onthese Afroalpine mountains for millennia, scientists and conservationists arerightly concerned about their future. Yes, the carnivores are at the top of thefood chain, they face little persecution from humans, and their prey isrelatively abundant. Yet, despite these advantages, researchers who have spentdecades studying these charismatic animals and who know them best havewitnessed the species’ precarious wobble between existence and demise here onthe "Roof of Africa." Now they’re doing everything in their power toensure the wolves’ survival. Diseases like rabies and distemper are particularlyproblematic for highly social species like Ethiopian wolves. If one member of apack comes into contact with infected dogs, or with the remains of infectedanimals, while out hunting, it can spread the disease to the rest of the packin a matter of days. If that pack encounters wolves from other packs, thedisease can spread quickly through the entire population. In 1991, conservation biologist ClaudioSillero was in the highlands studying Ethiopian wolves for his doctoralresearch when he witnessed the impact of a rabies outbreak. He found carcassafter carcass, watching the majority of the animals he had studied die. He madeit his mission to protect the species from extinction. 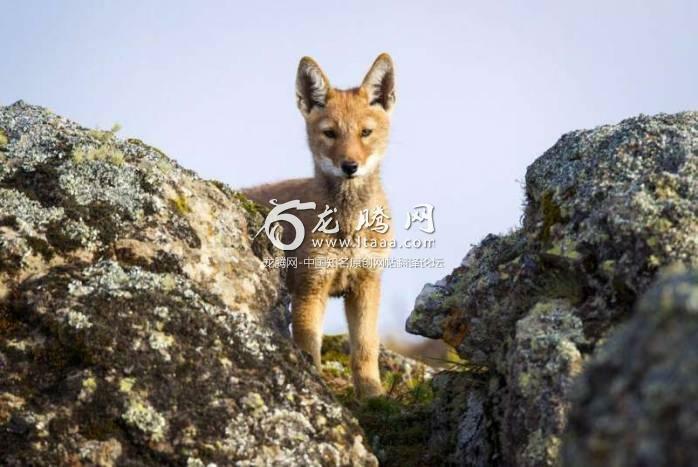 In 1995, alongside KarenLaurenson, Sillero formed the Ethiopian Wolf Conservation Program. "It was very hard to see animals I hadgot to know so well perish to rabies," says Sillero. "That convincedme that we had to do something about it. In 1994 we confirmed that thepopulation had not recovered from the 1990-91 outbreak, and suspected CDV, whichwas reported in dogs. That was when we considered an intervention to vaccinatedomestic dogs," he says. Silero and colleagues began this effort thefollowing year. Outbreaks of distemper in 2006, 2010, and2015 in the Bale Mountains also took a significant toll. In 2010, one quarterof adult and subadult wolves in the region died from distemper. The loss ofadults impacts a group’s ability to raise pups to adulthood. Only three of the25 pups born to packs that researchers monitored during the 2010 breedingseason survived to the subadult stage, representing just a 12 percent survivalrate—a significant drop from the typical survival rate of 25 to 40 percent. In2015, another distemper outbreak wiped out approximately half of the affectedpopulation. The EWCP’s educational campaigns not onlyboost support for rabies and distemper vaccinations, they also help localcommunities understand how stewardship of the entire ecosystem plays a key rolein keeping the habitats on which they depend healthy and thriving. To date, EWCP has vaccinated more than85,000 dogs. This effort provides a much needed buffer, but it isn’t a solutionin and of itself. The population of dogs continues to grow, and new dogs areconstantly introduced to the area as people move their herds around and newlitters are born. Scientists know that preventing disease outbreaks willrequire vaccinating the wolves as well. In 2011, the EWCP team was given permissionby the Ethiopian government to start a pilot program testing oral vaccinationsfor the wolves. They used a baiting strategy with an oral attenuated livevaccine, which has been used successfully in bait drops in the United States toeradicate rabies in coyote and raccoon populations, and in Europe among foxes.The protocol worked so well that they have used the same delivery vehicle forthe past eight years. The vaccine is held within a packet hidden inside a hunkof goat meat; as a wolf bites down, the vaccine coats the mucus membranes inits mouth and is absorbed into the animal’s system. Once delivered, it providesimmunity for at least three years, though Marino notes that immunity likelylasts longer. Team members on horseback distribute baitsat night, an approach that minimizes stress on the wolves. Whenever a wolftakes the bait, a team member records the identity of the wolf and how much baitwas consumed. During the initial pilot, the team trapped the wolves a few weekslater to find out what percentage of the pack had been vaccinated and therebydetermine the efficacy of the strategy. The team learned that if they couldvaccinate just 40 percent of a family pack for rabies, with a focus onimmunizing the breeding male and female, they could boost the survival chancesof the family pack by as much as 90 percent. Some members may still succumb tothe disease, but the pack as a whole will persist and rebuild its numbers. Before EWCP started its pilot vaccinationstudy, a rabies outbreak would wipe out anywhere from 50 to 75 percent of thewolf population in the region. But the most recent outbreak in 2014 told adifferent story: Less than 10 percent of the region’s wolves were killed by thedisease. The combination of a rapid on-the-ground response by the team tovaccinate as many wolves as possible when the outbreak struck, as well asprevious vaccination efforts that had provided immunity for a subset of thewolves, mitigated the impact of the recent outbreak. "Our expectation is that thegovernment will allow CDV vaccinations in the future, at least in response toverified CDV epizootics among wolves," says Marino. The journey to save this charismaticspecies has been a long one, says Sillero, who has spent many sleepless nightsover the past 30 years tracking wolves in frigid conditions. "But then inwildlife conservation there are seldom any quick fixes. We have gone throughthe hurdles to allay the fears of those that were concerned with vaccinationinterventions and gained their trust and support," he says, with theresolve of someone unlikely to be discouraged by even the highest of hurdles. "With regular preventive vaccination we will hopefully reduce the wildpopulation oscillations observed as a result of disease outbreaks, and renderthe last six wolf populations more resilient to local extinction." 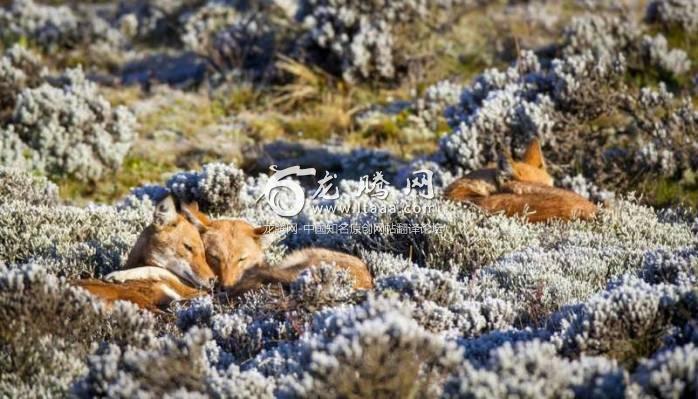 The presence of the Ethiopian wolf in thehighlands is evidence of a healthy ecosystem, and the species is an idealanimal to act as an emblem for conservation in Ethiopia. An apex predator thatis at once familiar and mysterious, the wolf is a compelling species with whichmany people feel a connection, as proven by the profoundly dedicated staff atEWCP. With the help and cooperation of local communities, the team willcontinue working to ensure that this elegant canid remains in its rightfulplace in the highlands indefinitely.